Persian or Iranian art, with its history of more than 2,500 years, has one of the greatest art heritages in the world. Even the recent turbulent political past of Iran, including the decades of political unrest and social upheaval, hasn’t stopped the development of art in this Middle Eastern country. One of the best known Persian artists in the Western world today is Shirin Neshat who gained great respect and recognition for her work which includes photography, performance, film, and video. Her oeuvre focuses on the Muslim women in both universal and personal ways and questions their position in the Iranian society, as well as how they are treated according to the cultural, religious and political circumstances that influence their identities. Shirin Neshat was born to a wealthy family from Qazvin, a small city two hours from Tehran, in 1957. At the age of seventeen, she relocated to the United States to complete her education. She obtained her BA, MA, and MFA at UC Berkeley and moved to New York City in 1983. Additionally, she began working at the Storefront for Art and Architecture, an interdisciplinary alternative space in Manhattan. Although Neshat graduated in painting and printmaking, she postponed her career until the early 1990s, when she made her first trip back to Iran. There she realized that the Revolution of the Ayatollahs in 1979 brought enormous changes to Iranian people, both in their mental attitudes and physical appearances, which she described as both ‘frightening and exciting’. Not only did she experience being trapped between two different cultures – American and Iranian – but she also found she was wrestling with the sense of nostalgia for the pre-revolutionary Iran of her childhood. Upon her return to the US, she began creating work that explores issues of her homeland especially the position of women within the predominantly male Islamic community. Her amazing work, especially her photographs, combined with Persian poetry and calligraphy, soon attracted worldwide attention. 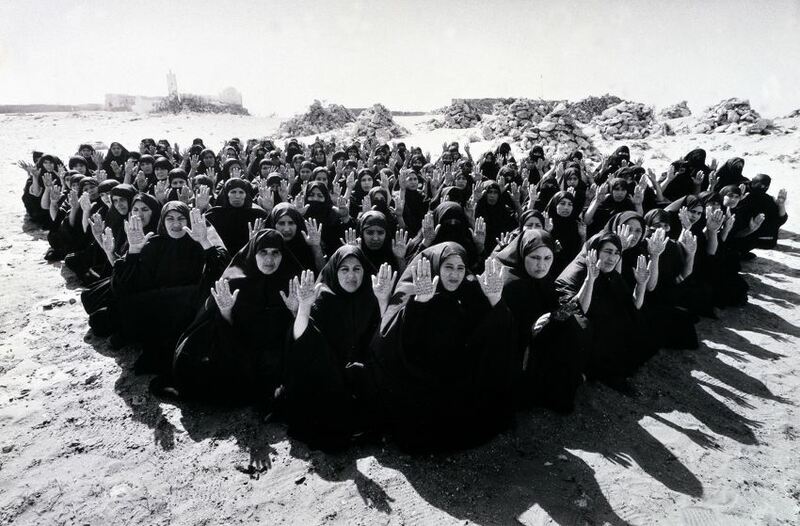 From 1993 to 1997, Neshat produced her first body of work, a series of feminist, black-and-white photographs entitled Women of Allah, conceptual narratives on the subject of female warriors during the Iranian Revolution of 1979. 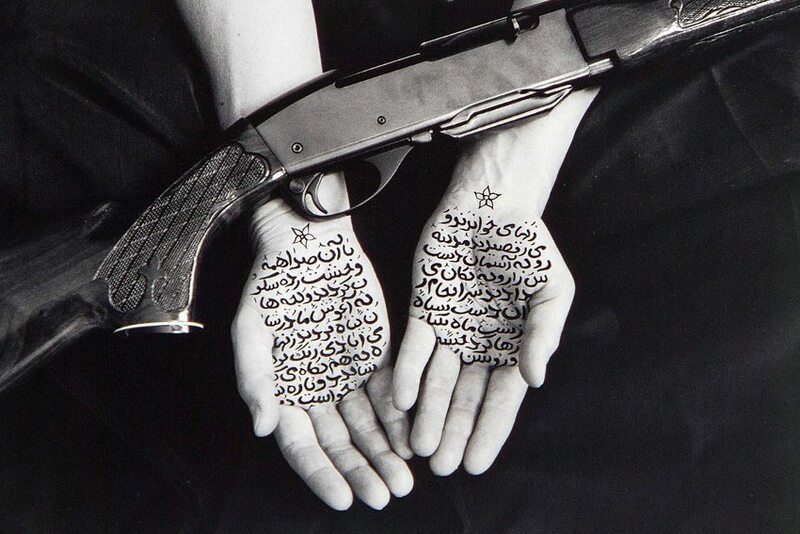 Exploring the dichotomy between religion, politics, violence and feminism, the series of impressive, staged photographs depicted women in chadors, some holding guns, others with skin covered by Persian script that few people outside Iran can read. The work became famous for its daring take on femininity under male authority and the way women are treated according to religion and strict political rules. In many pieces, Neshat took on the role of performer. Addressing the theme of the alienation of women in repressed Muslim societies, Shirin Neshat does not only works in photography, but also in a video, film, and performance. She moved from overtly political commentary to the presentation of more poetic imagery and narratives with her video installations, the first being a trilogy comprising of Turbulent (1998), Rapture (1999), and Fervor (2000) dealing with gender differences and roleplaying codified by Iranian interpretations of Sharia law and the implementation of hijab. 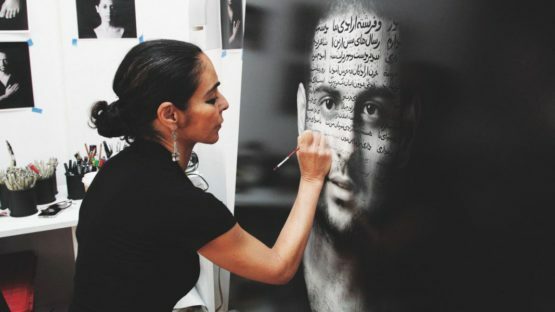 Since 2003, Neshat has continued to examine the central themes of religion, violence, madness and gender in various works, from the feature film Women Without Men, based on a magic realist novel written by Iranian author Sharnush Parsipour, to her photographic series Zarin and the film Faezeh. Neshat’s work has received great critical acclaim outside of Iran. Her work has brought her the International Award of the XLVIII Venice Biennale in 1999, The Dorothy and Lillian Gish Prize in 2006, the Silver Lion for Best Director at the 66th Venice Film Festival in 2009, and 2014 Crystal Award by the World Economic Forum in Davos, Switzerland, to name a few. Her work has been included in numerous solo and group shows in the US, Britain, Denmark, Italy, Sweden, Mexico, and others. Neshat also participated in many film festivals and was a member of the jury at the 63rd Berlin International Film Festival. She was declared Artist of the Decade by The Huffington Post critic G. Roger Denson in 2010. American portrait photographer Annie Leibovitz selected and photographed the Iranian artist in 2015, as part of the 43rd Pirelli Calendar which celebrated some of the world’s most inspiring women. More than two decades, the Iranian-born artist, living most of her life in exile in the USA, has explored the ideas of femininity and masculinity, public and private life, exile, and belonging. She is a daring artist who is not afraid to speak up about the changes she was faced with in her home country after being in exile for twelve years after the Revolution. Over the years, she has become known among Iranians as an eminent intellectual force. Her work, which has never been shown in Iran, gives us more complex images of basic human issues in contemporary Islamic societies, rather than the simplistic, stereotypically negative images seen on TV and in movies. Shirin Neshat is based in New York, NY.